Ainsley’s quilt is finished! 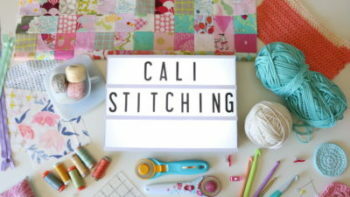 I started it last summer at Craft South… And if you watched this video, you saw a little glimpse. 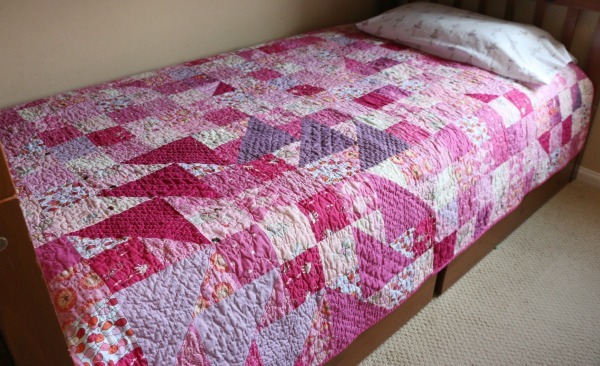 I am planning to do a series on my YouTube Channel later this summer so that I can show you how to make this exact twin size quilt, but for now here are some pretty pictures. 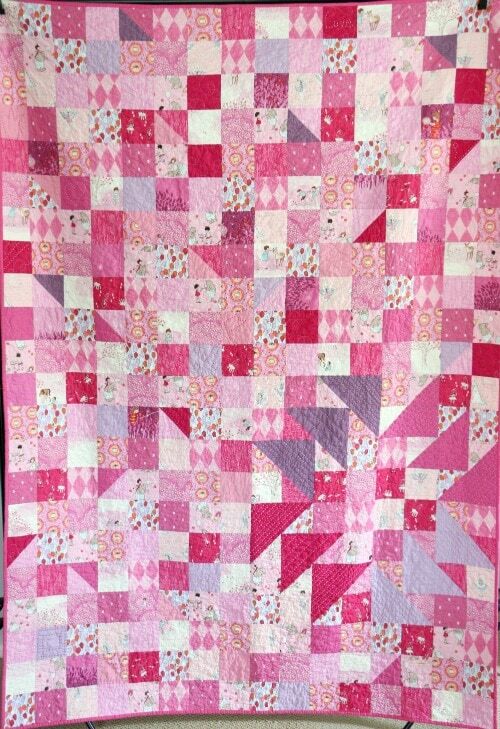 This quilt inspired the free quilting series that I did on YouTube. You can find all of those videos here! I wanted to use solids in a meaningful way and add this rotating flying geese shaped circle in a location that would be appropriate for the bottom of a bunkbed. I used a lot of fabric designed by Sarah Jane from a few different collections and some solids I picked up from Anna Maria Horner’s line that she had available at Craft South. 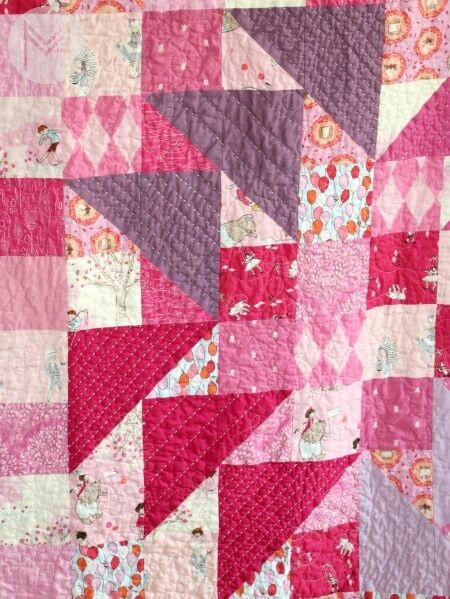 I also included a lot of hand stitching to this quilt. That is the main reason why it took me longer than it normally would to finish. 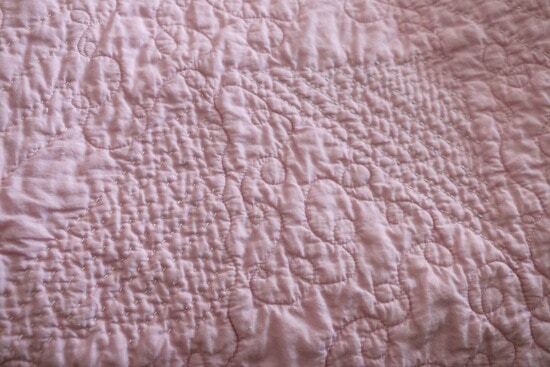 I added various hand stitched details to many of the solids throughout the entire quilt. 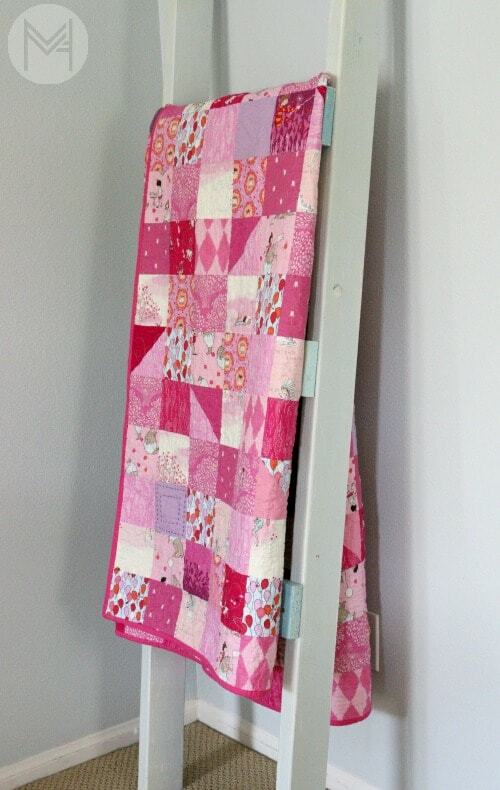 I also used one of Anna Maria Horner’s voile fabrics for the back. 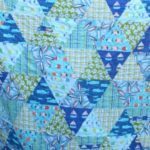 This was the first time I have ever used voile for the back of a quilt, and I have to say that I love it. It is so soft. It has a luxurious feel to it. 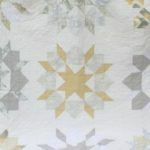 Voile is thin and almost sheer but has a very high thread count so it makes it very durable and since it’s a woven you don’t have any stretching issues like you could have with minky or something similar. 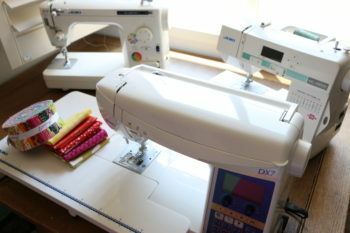 Here you can see the hand stitching and machine stitching that I did. Hello, I am trying to locate the Cutting Diagram for the different pieces of Ainsley’s quilt that you made. It is absolutely beautiful! I have the printout of the amounts of the different fabrics but I cannot find the diagram for cutting out all of the fabrics. Thank you for all your tutorials! Love them!! What a beautiful quilt!! 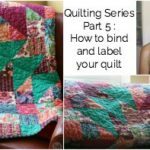 The colors and pattern and all your gorgeous quilting! AHHHHH! 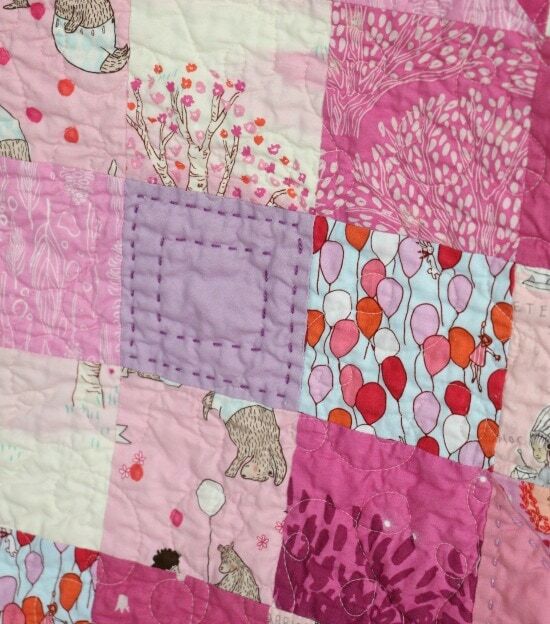 I absolutely love the quilt you made for your daughter. 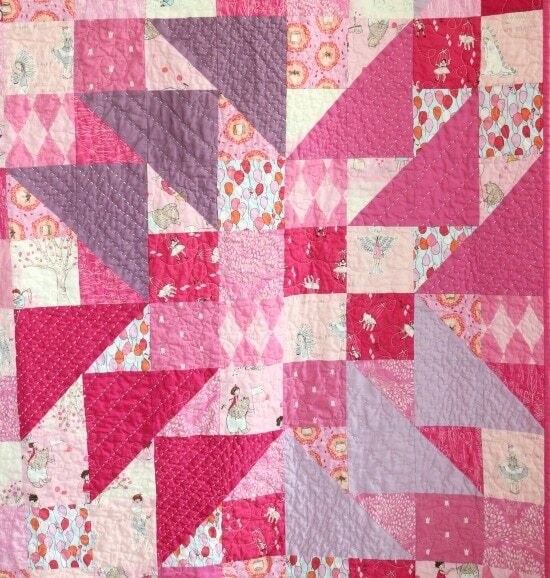 The hand quilting in the solids give it a special touch, love it. I like the fact that you included the flying geese. It certainly adds to the pattern. Beautiful! So pretty! I love it!